Born at Louisville, Alabama, July 11, 1897, he served as a long-time Member of Congress from Alabama and was a legal resident of Washington, D.C. at the time of his death on November 2, 1982 while at sea aboard the Queen Elizabeth II. He was buried in Section 7-A of Arlington National Cemetery. 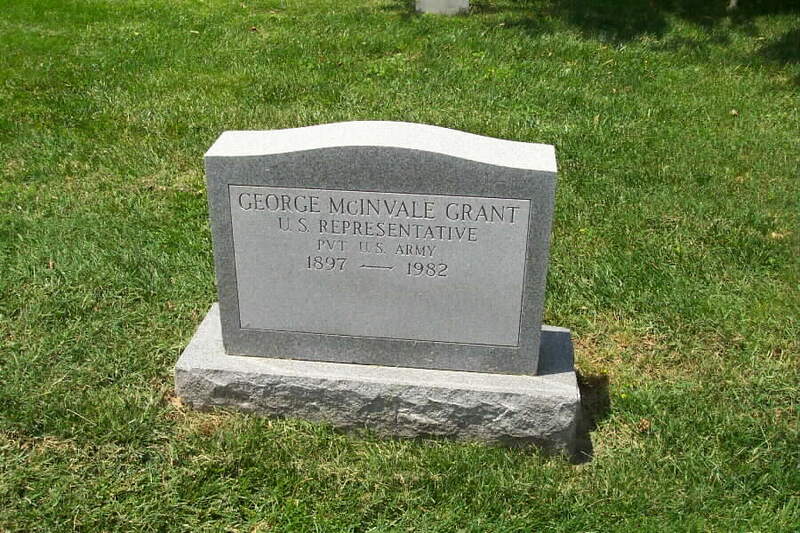 GRANT, George McInvale, a Representative from Alabama; born in Louisville, Barbour County, Ala., July 11, 1897; attended the public schools; was graduated from the law department of the University of Alabama at Tuscaloosa in 1922; was admitted to the bar the same year and commenced practice at Troy, Ala.; served as a private and aviation cadet in the aviation section of the Signal Corps of the United States Army in 1918 and 1919; county solicitor of Pike County, Ala., 1927-1937; elected as a Democrat to the Seventy-fifth Congress to fill the vacancy caused by the resignation of Lister Hill; reelected to the Seventy-sixth and to the twelve succeeding Congresses and served from June 14, 1938, to January 3, 1965; unsuccessful candidate for reelection in 1964 to the Eighty-ninth Congress; resumed the practice of law; lobbyist; was a resident of Washington, D.C., until the time of his death on November 4, 1982, at sea, aboard the Queen Elizabeth II; interment at Arlington National Cemetery, Arlington, Virginia. On Saturday, March 27, 2004. 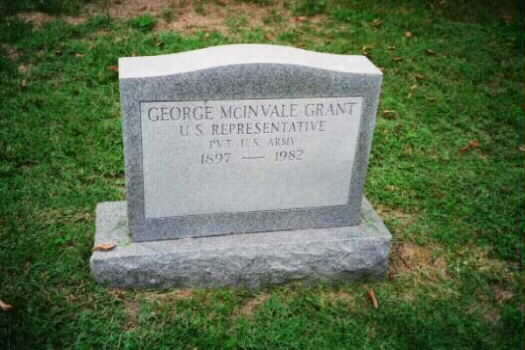 Widow of George M. Grant, former U.S. Representive from Alabama. She is survived by two children, George M. Grant Jr. of Washington, D.C. and Alicia Longwell of Sag Harbor, New York; three grandchildren, George M. Grant, III, Julia Longwell and Oliver Longwell and one great-granddaughter, Cameron Grant. Private services will be held at Arlington National Cemetery.